All of the songs that we will do are on the website. At the top of this page you will find a link to two Christmas song books. 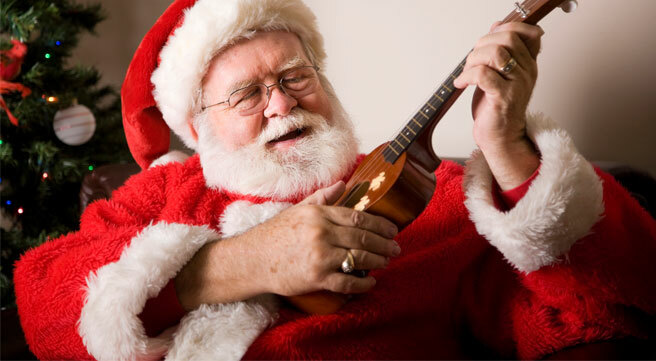 Sing & play Christmas songs with friends and family at home & you’ll be the hit of the gathering or perhaps you’ll get ejected out into the snow. This entry was posted in Uncategorized on November 29, 2018 by drew6491. November Ukulele Night at Charlie’s Pub and Eatery will be on Tuesday, November 13 from 6:30 – 9:00. We’ll do all of the usual stuff, so come early and have dinner. This entry was posted in Uncategorized on November 6, 2018 by drew6491.